dinner at ashley and m's beautiful light-filled home in seattle... loaves of rustic breads, home-made paella with prawns, fiddleheads, and garlic scapes. for dessert, port wine and the most delicious ginger and carrot cake by katy. such a memorable meal! i was also very excited to finally meet caitlin while i was in seattle! she's created such brilliant weavings on her new loom. 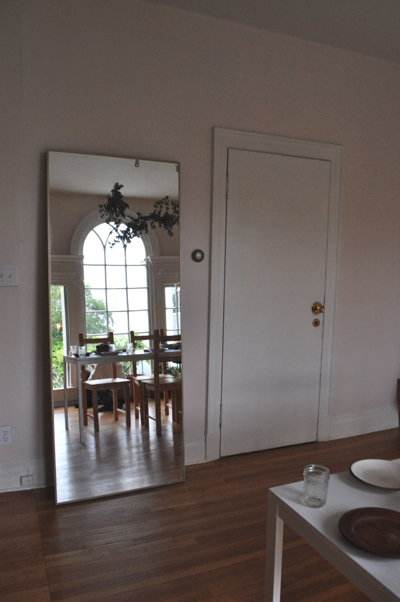 i really love the idea of putting a mirror in a dining room. 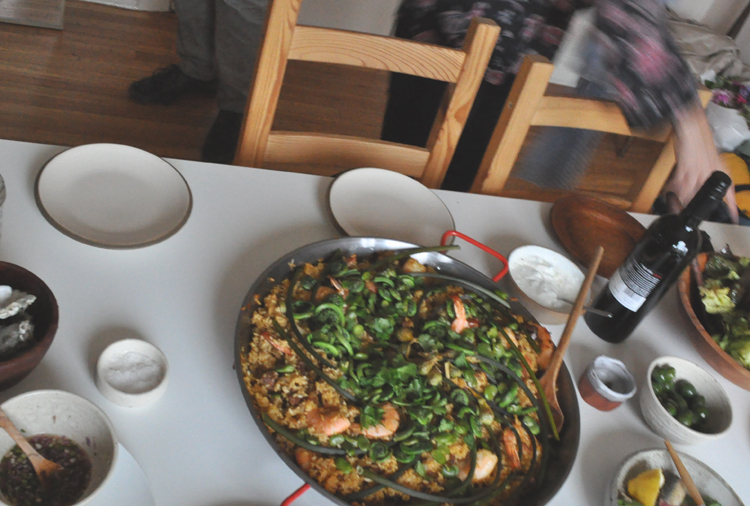 and that paella looks delicious! 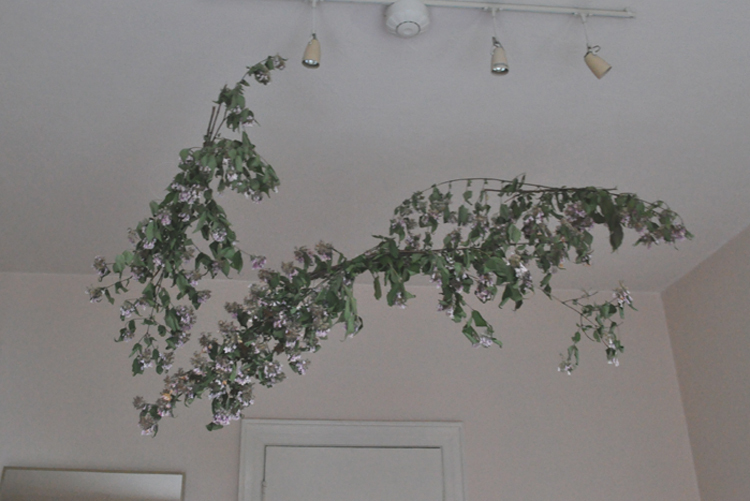 i love the ides of branches hanging from the ceiling. 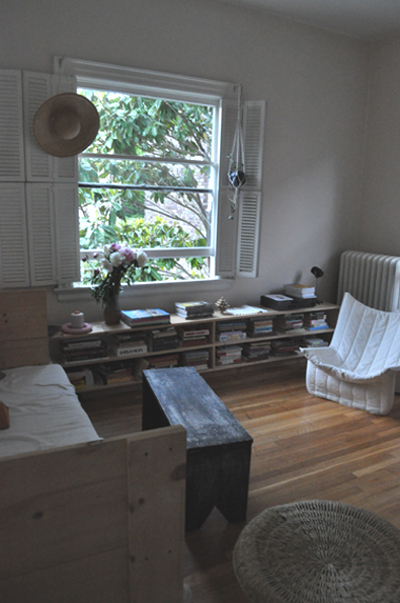 and the mirror gives a whole different scale to the room, no?